Home / Alternative Therapies / What Is Homeopathy? Homœopathy treats the “whole person” which means that two people presenting with the same complaint may receive a different medicine based on their individual symptoms and emotional response to the illness. Homœopathy was developed by Samuel Hahnemann, a German physician, over 200 years ago and is based on the principle of “like curing like” although the principles go back further to Hippocrates & Paraselcus. They are prepared according to strict guidelines set out in international pharmacopoeias and under the control of the Therapeutic Goods Administration (TGA). Since the medicines are very dilute, homœopathic medicines are considered gentle in their action when prescribed by a registered homœopath. What conditions can homœopathy treat? As indicated previously, a wide range of both acute and chronic illnesses may benefit from homœopathic medicine. – Acute illnesses commonly prescribed for include: sports injuries, coughs, colds, diarrhoea, hay fever, travel sickness. Homœopathy may also be of help in deeper, more chronic diseases, including a wide range of illnesses: autoimmune diseases and on-going chronic complaints for which conventional medicine often has nothing further to offer. Today, extensive clinical experience, observation and research continue to support homœopathy’s effectiveness for a wide range of complaints for men, women, children, infants and the elderly. What does a visit to a homœopath involve? An in-depth investigation is all important when taking a homœopathic case. As well as asking about your symptoms, a homœopathic practitioner will be interested in you as an individual and the unique way in which your symptoms affect you. The first consultation with a homœopath may take an hour or more, however, simple acute complaints may only take 15-30 minutes. Information relating to current symptoms and past medical history will be required. Questions may also be asked about diet, sleep, lifestyle, and about some mental and emotional aspects. Physical examinations may be required according to the particular complaint. Treatment then involves the prescription of the most suitable medicine, matching all of the symptoms and individual characteristics of the patient to the medicine. Two people with the same condition may have very different prescriptions because of their own unique set of symptoms. Your practitioner might also advise general lifestyle and dietary changes as part of a treatment plan or recommend a visit to a General Practitioner or for tests to be carried out. The Swiss Government recently published a report supporting complimentary medicine and, in particular, homœopathy, as well as the cost-effectiveness of CAM (complementary and alternative medicine) therapies. To access a good homœopathic practitioner, check that they are registered with the Australian Register of Homœopaths (AROH). All AHA Professional members are registered with AROH and abide by the register’s Code of Conduct and Standards of Practice. AROH registration requires that practitioners are qualified to the national standard, have on-going professional indemnity and public liability insurance, hold a current first aid certificate and undergo regular practitioner development. It is important to note that a practitioner of naturopathy is not the same as a homœopath. If a person dispenses homœopathic medicines it does not necessarily mean that they are a fully qualified and registered homœopath. Many people mistakenly think that homœopathy and naturopathy are one and the same thing. 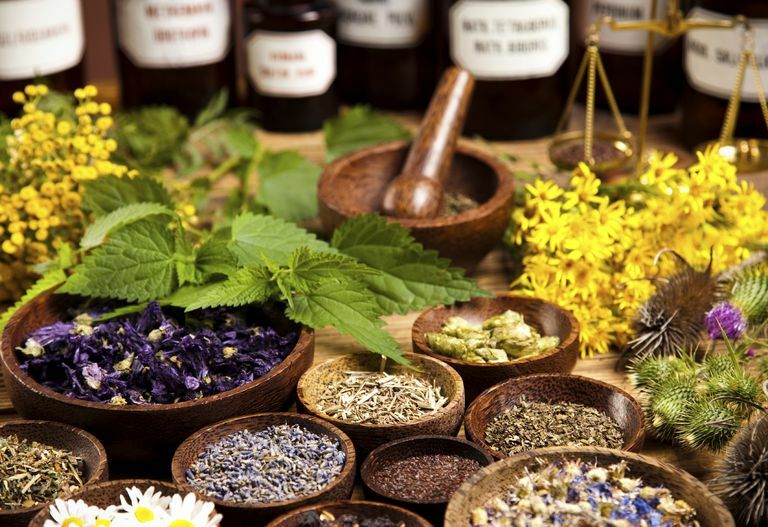 Naturopathy is a broad-spectrum practice which includes a number of natural therapies, and practitioners are likely to prescribe multiple medicines and treatments such as herbs, nutritional supplements, massage, acupuncture, diet and iridology, and may include some homœopathy as well. Can homeopathic medicines be taken with conventional medicines, naturopathic prescriptions and other traditional treatments? Homœopathic medicines have not been known to produce side effects and can be taken in conjunction with pharmaceutical medications as they are not contraindicated. Other traditional therapies will complement homœopathic treatment, however, confer with your homœopath to ensure that the timing of this in your overall treatment plan is ideal. This Blog is brought to you by the Australian Homeopathic Association Australia. You can find a Homeopath at Wellwood Health in Loganholme. To review our therapist, simply head to our ‘Homeopathy’ page, right here on our website. An initial consult will last 90 minutes and cost $150. A follow up consult will last 60 minutes and cost $90. We also offer bundle packages which provide you with an initial consult and two follow up consults for a discounted price as quite often multiple visits are required. Unfortunately, Homeopathy services are not able to be claimed on health funds.